A: United Way of Greater Kingsport is an independent nonprofit organization governed by local volunteers representing the community, bringing people and organizations together. United Way acts as a catalyst for positive change, helping to create and build the resources necessary to improve the quality of life for those who live and work in our area. Q: How does United Way serve the community? 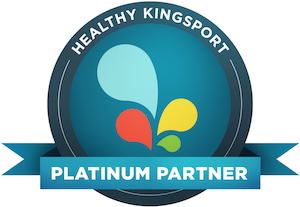 A: United Way of Greater Kingsport supports health and human service providers through its strength in raising funds and effectively investing them, through the investment of volunteer resources, and by building community collaborations and partnerships. United Way is the single largest funding stream supporting human services in Kingsport. UWGK’s campaign provides financial support for 44 programs through 30 affiliated agencies and community initiatives. Q: What kind of programs does United Way support? A: The programs supported by United Way provide a variety of critical services to the community, including food, shelter and emergency services, child care and family support, health care services, care for the elderly, assisting people with disabilities and youth development. Q: How do programs receive funding? A: After requesting affiliation with United Way, agency programs must go through a formal review process. Groups that receive funding through United Way of Greater Kingsport are nonprofit, tax-exempt charities governed by local volunteer boards. Each agency must submit to an annual independent financial audit and provide services to the community at a reasonable cost. A re-certification process ensures that agencies maintain high standards of stability, accountability, and quality service. Q: I don’t use any of the agency programs, so why should I give through United Way? A: You may have already used the services of a United Way agency and never realized it. One day, we all may need disaster services, youth development services, child or adult day care services, or a variety of other valuable services offered through United Way programs. In addition, everyone benefits from the results that ripple out to the community as a whole. Q: Who is eligible for United Way services? A: Services supported by United Way of Greater Kingsport are available to people who live and/or work in the Kingsport area. Many UWGK agencies serve areas outside of Sullivan County. Q: Why should I choose to give through United Way? A: Through United Way’s annual citizen-review process, trained volunteers assess community needs an determine how to distribute funds to have the greatest impact. When you contribute to United Way, you know that your gift is helping the most people in the most efficient way. Your dollars raised in the community stay in the local community and help support 44 programs and other community initiatives. United Way also works to break the cycle of need by looking closely at the cause of problems and educating people to make long, lasting positive change in their lives. Q: Who governs United Way? A: Volunteers from the community, both residents and employees of local businesses, govern United Way of Greater Kingsport by serving on its volunteer board of directors. Q: Why should I give if my spouse does? A: We hope that you and your spouse both will consider a gift. United Way and our community depends on each individual to make a gift based on his or her own income. These gifts are united with others to make the greatest impact on solving health and human service problems. It takes everyone in the community working together to create a brighter future. Together, we can accomplish so much more than any single group can on its own. Your combined gift with your spouse may qualify you for Leadership Giving recognition. Q: How much of my contribution goes directly to service providers? A: Making use of a vast network of volunteers and with a strong emphasis on efficiency, United Way strives to keep administrative costs low so that nearly ninety percent of total dollars received go directly to the member agencies, other United Ways and Community Chests. Q: Why should I consider using payroll deduction for my contribution? A: Payroll deduction is an easy and affordable way to give, allowing you to contribute a small amount of your paycheck over a longer period of time. If your company has a matching gifts program, you can automatically double the impact of your contribution. This efficient system also allows more of your contribution to go directly to service providers by helping to keep administrative costs low. Q: Can I specify where I want my contribution to go? A: United Way strongly recommends that you invest your gift in UWGK’s general campaign fund, where your dollars will have the greatest impact on addressing the community’s most critical needs. Donors also have the option of designating all or a portion of their annual gift to another United Way or Community Chest. All eligible organizations are listed on the back of the United Way pledge card. Q: What is the United Way’s policy against pressuring employees to give? A: Only you can decide how much you can give. We provide a suggested caring gift guide on the back of the pledge card for your reference. United Way also offers several giving and recognition opportunities to our donors. Q: What is the affiliation between United Way of Greater Kingsport and United Way Worldwide? A: Each United Way is independent, separately incorporated and governed by local volunteers. United Way Worldwide provides a variety of services for local organizations and supports their efforts by producing national advertising campaigns. United Ways have been leading the cause of caring for more than 125 years. There are approximately 1,300 community-based United Ways. United Ways ensure that each organization in which they invest is a non-profit, tax-exempt charity governed by volunteers, and that it submits to an annual, independent financial audit and provides services at a reasonable cost. United Way Worldwide is an international organization dedicated to leading the United Way movement in making measurable, collective impact in every community across America and in other parts of the world. It invests in the programs and services that strengthen the ability of local United Ways to identify and build a coalition around a set of community priorities and measure success based on community impact. Q: How can United Way afford advertising? A: National and local commercials, including the NFL advertising provided through United Way Worldwide, are provided at no cost to United Way. Newspaper, electronic media and corporate advertisers are great supporters of United Way, donating or reducing cost for time and space for these promotions as just one facet of their support. Locally, companies donate in-kind advertising. Q: I’m new to the area and would like to help others by volunteering. How can I find a volunteer opportunity that fits in with my hectic schedule? A: Volunteers are vital to the operation of United Way as well as most of our member agencies. Many opportunities are available. If you are interested, visit our website at www.uwaykpt.org,, contact United Way directly at 378-3409 or contact any United Way agency directly. Q: How can I find out more about health and human service agencies in the community and how their services could be of help to me? A: Simply dial 2-1-1, an information and referral service for health and human service needs handled through Contact Concern. They can refer you to an agency that can help with the specific need. Calls are confidential.